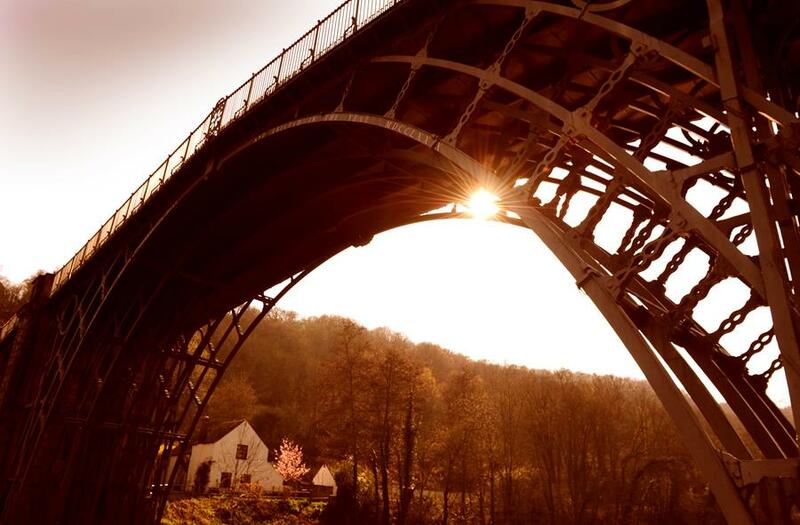 A full two day conference to help museums build resilience will be hosted by Ironbridge Gorge Museum Trust (IGMT). Come and participate in interactive workshops and be inspired by interesting and informative speakers. We are pleased to announce that 20 bursaries of £50 each are available to help towards travel costs with accommodation also being provided in a local hotel. To apply for a Bursary, please email wmmd@ironbridge.org.uk for an application form. It has been a busy time for the team finalising details of the programme of commissioned works. We are now pleased to be able to announce more detail on a wide variety of training programmes available. Access Audits - how accessible is your museum? Understand how inclusive your museum is to those in your community with a range of access needs including, physical, sensory and cognitive. An Access Audit will be undertaken, involving a walk around your site to capture the experience of a visit, including a review of the information and range of activities offered to your visitor. The resulting report will share findings and offer reasonable adjustment recommendations on which changes could have most impact. Access Audits will be undertaken by Wave-length social marketing CIC who regularly carry out audits, training and service reviews based on the needs of customers with a disability. This will support Section 3 of the Accreditation Standard: Users and their Experiences. A series of one day events created by John Sear of Museum Games will showcase what can be done for free, little cost, or with a budget, to use your specialist knowledge, collections and spaces in new and interesting ways. These workshops will be useful for museums of all sizes and types. All workshops will provide an introduction to the topic, relevant case studies and hands on practical activities. John can offer advice on how to get your digital aspirations off the ground including sources of funding along with a short mentoring programme for selected museums. This will support Section 1: Organisational Health and Section 3: Users and their Experiences of the Accreditation Standard. Two intensive one day workshops with Wanjiku Nyachae designed to equip participants with the skills to understand change and drive positive change to improve organisational performance, innovation and development. Wanjiku has worked in arts and culture for 25 years as a curator, producer, trainer and facilitator, and has over 20 years’ experience of facilitating groups ranging from senior global leaders (Ashridge Business School) to individuals in early recovery from addiction (Summit House, Dudley). Wanjiku draws creatively from unexpected sources to deliver grounded learning. Encouraging participants to understand how their personal relationships to change and managing change impact organisational change culture. This will support Section 1: Organisational Health of the Accreditation Standard. A Needs Assessment on diversity within the workforce is being conducted across all museums in the West Midlands region. Museums will be invited to participate in a survey from 22 January. Each museum will receive a full report and suggested action plan. A toolkit will be produced to share best practice amongst the museum sector to help develop a more diverse and inclusive workforce and volunteer base. A great introduction (or indeed a refresher) for anyone with responsible for the daily care and management of collections. Royal Regiment Fusiliers Museum, St John's House, Warwick. Just what is eating your collection and how do you stop it happening? Samples of bugs welcome on the day! This looks set to be an inspiring one day touring event looking at how museums could use art and artists to engage young people with their collections. Artist Leigh de Vries will open the event with her most recent work ‘My Broken Reality’ a video installation with follow up workshops and talks. Leigh was supported by Grants for the Arts funding working with the Old Market Street Gallery, Rotherham “Exposure – The Broken Reality Tunnel of BDD” worked with groups of young people. 110 young people attended with 80 hours of engagement. “The success of the delivery of the piece was centred around public engagement and youth outreach programme and this was developed and delivered through participation, dialogue and the immersive experience”. Other elements of the day are digital engagement, Arts Award and FE discussions around work placement and apprenticeships. This will support Section 3 of the Accreditation Standard: Users and their Experience. Service Science are leaders in the measurement of customer service quality in the tourism, hospitality and leisure sectors. They bring with them over 5,000 tried and tested reliable mystery ‘shoppers’ and work extensively with clients in the Museum and Heritage Sector. This will be a 5 stage process including an initial review of existing visitor feedback, pilot programme to ensure quality, weekday and weekend visits to each individual site and detailed analysis and reporting. If you have already expressed an interest in any of the events, your Museum Development Officer will be in touch to confirm your participation. Spaces are still available if you are interested in participating in a specific programme please contact us. *Full day courses include lunch and refreshments. 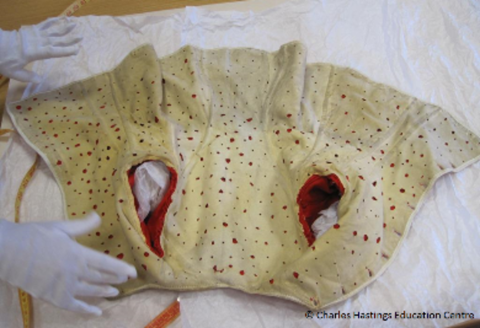 It is recognised nationally that there is a need for a more strategic approach to how museums can better understand and use the collections in their care. This piece of work, being conducted by Shane Keller at Ironbridge Gorge Museum Trust (IGMT), will support raising the profile of under used archaeological collections in the West Midlands Region and the creation of stronger links between museums holding archaeological material and non-museum bodies. Archaeology Collections or Material at your Museum? "Do you have archaeological collections or material at your museum or stores? If yes, we want to hear from you! We are conducting a programme of research with a view to better understanding the current situation with regards to museum-held archaeological collections in the West Midlands. If you think that you can help please get in touch for a chat by emailing shane.kelleher@ironbridge.org.uk or calling 01952 435900." This project will celebrate key objects in 2 museum collections in Staffordshire. Each museum will be working with an artist to use the objects as the focus and inspiration for developing interactive donations boxes (one for each museum). These will be designed to engage visitors with collections while at the same time providing the organisations with a method of collecting donations to support their work in caring for the objects in the collections. This is a mapping project to identify Orphaned Collections in Accredited Local Authority collections. It will identify the collections, held by museums, most at risk from a reduction in specialist staff and recommend potential ways to strengthen their position and to improve their visibility with stakeholders. Where possible to identify possible sources of specialist support within the wider region (including East Midlands) and nationally as appropriate. We have been busy updating www.mdwm.org.uk with the latest news and events regionally and nationally. Check out the updated funding pages for the latest news from Arts Council England and Art Fund here. A big thank you to The Pen Museum, Birmingham and The Leather Museum, Walsall for the fantastic images which are now being featured on our website. Also to the Kids in Museum Team and Birmingham Back to Backs for their case studies which you can read on our case studies pages. By forwarding these case studies and images to us you agree to the information being shared with third parties as part of our role to share best practice; published on our website and on any other promotional material. We are currently looking for museum mentors to support three museums in Shropshire, Herefordshire and Worcestershire. To find out if you are eligible to become an Arts Council Mentor click here. All museums who have been featured in Country Signpost please contact Editor, Adam Davison on 01743 874098 to update your entries. Arts Council England in all publicity. At midday on the 14th of January Arts Council England opened their Museum Resilience Fund, all details will be available on their website. This first stage commences during 14th – 18th of February when all accredited and those formally working towards accreditation are invited to submit an expression of interest. Have launched three new funds. Two of them - Elevate and Unlimited III - will help them with their Creative Case for Diversity work, whilst Catalyst: Evolve will create stronger and more resilient organisations with fundraising help. Arts Council want to better understand the experiences of disabled people working in arts and culture in England - and need your help. You are invited to get involved in a survey they are running in collaboration with specialist diversity consultancy EW Group. They welcome responses from disabled and non-disabled people who are employees, employers, aspire to work in the sector, or are currently out of work. The survey is open access, so please do share with anyone who would like to contribute. Your help will be much appreciated. Collections Care Trust: SPECTRUM 5.0 Consultation- take part now! Collections Care Trust are consulting widely to check that SPECTRUM still meets the needs of museums large and small. This will inform the next revision, SPECTRUM 5.0, to be published in 2017. They want to know whether SPECTRUM reflects current practice in your kind of museum, so please take a moment to complete our short online survey. You can also sign up to get more deeply involved in the revision process. SPECTRUM aims to be relevant and useful to museums of all types and sizes, and to everyone who works with collections in any way, so the whole museum community will benefit. The Black Country Living Museum is a large, thriving, financially self-reliant independent open-air museum attracting c300,000 visitors each year, with an annual turnover of £5m and currently making six-figure surpluses to invest in our future. The entirety of the Museum’s collection is Designated, and it is one of only 21 Major Partner Museums invested in by Arts Council England. The Museum is now looking to recruit two highly experienced individuals reporting to the Museum’s Director & Chief Executive, as it embarks on a major development of its 26 acre site. To succeed in these roles you’ll need bags of energy and a thorough understanding of how to lead large, diverse teams to accomplish further step changes in the quality, impact and scale of what is being achieved, as well as sound strategic judgement to influence and assist in leading the organization’s future. For further information on both roles and the application process, please go to: https://www.bclm.co.uk/about/jobs-at-the-museum/4.htm. Closing date: Friday 5 February 2016. Nuneaton Museum & Art Gallery is looking for an enthusiastic and articulate individual who can help our visitors enjoy their visit in a safe and enjoyable environment as a Museum Access Assistant. 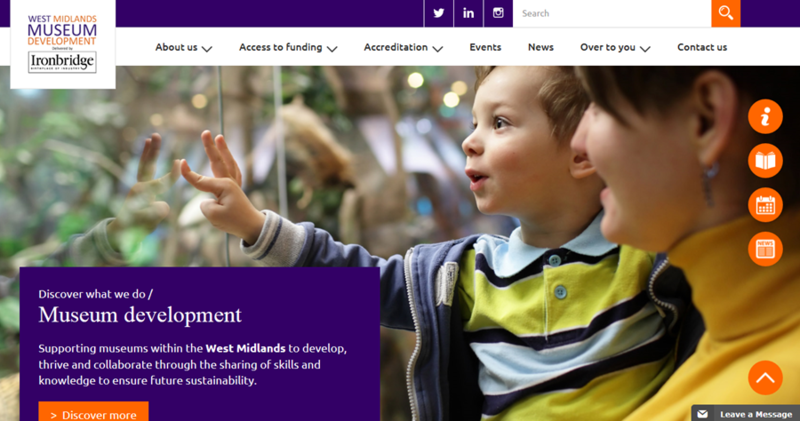 As an Accredited Museum (or one working towards Accreditation) you have received this e-newsletter as part of the new West Midlands Museum Development Programme. To unsubscribe from this mailing list please click 'unsubscribe' below.